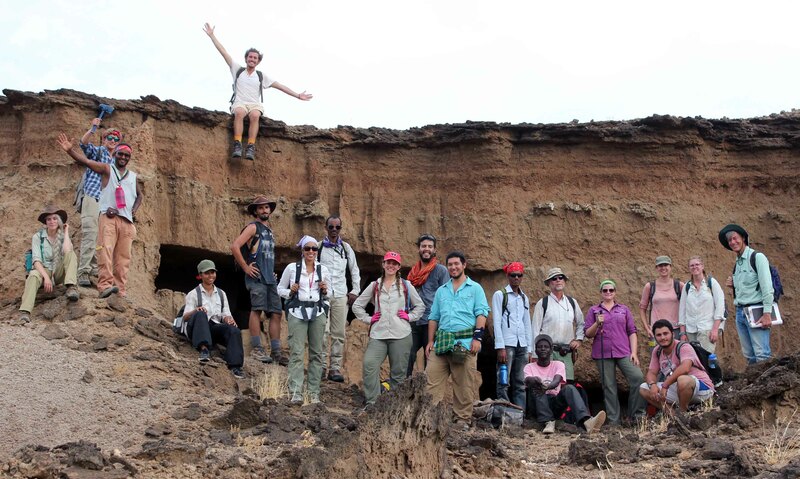 Nearing the end of the Geology module, we all set out for an overnight trip to the famous Koobi Fora camp area. 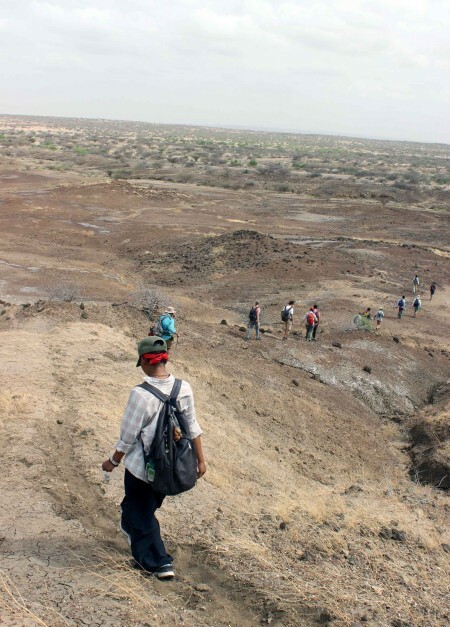 The Koobi Fora area is historically significant for human origins research, most notably a hot spot for this discipline since the beginning of Drs. 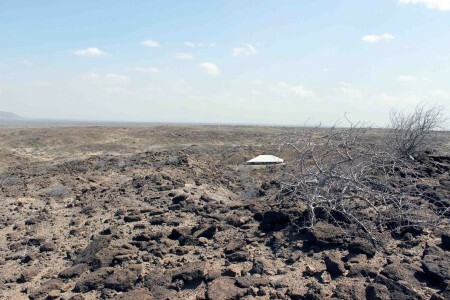 Richard and Meave Leakey’s research in the 1960’s and 70’s. 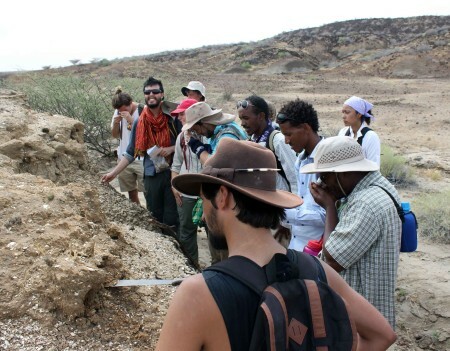 Since that time, Koobi Fora has attracted researchers from all over the world from a multitude of disciplines. 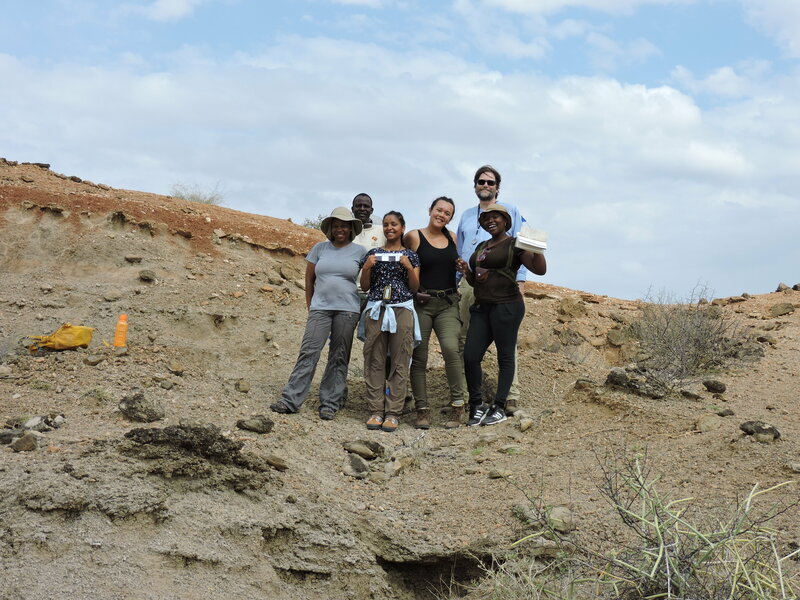 Many of the fossil hominin finds in this area have revolutionized our understanding of human origins. 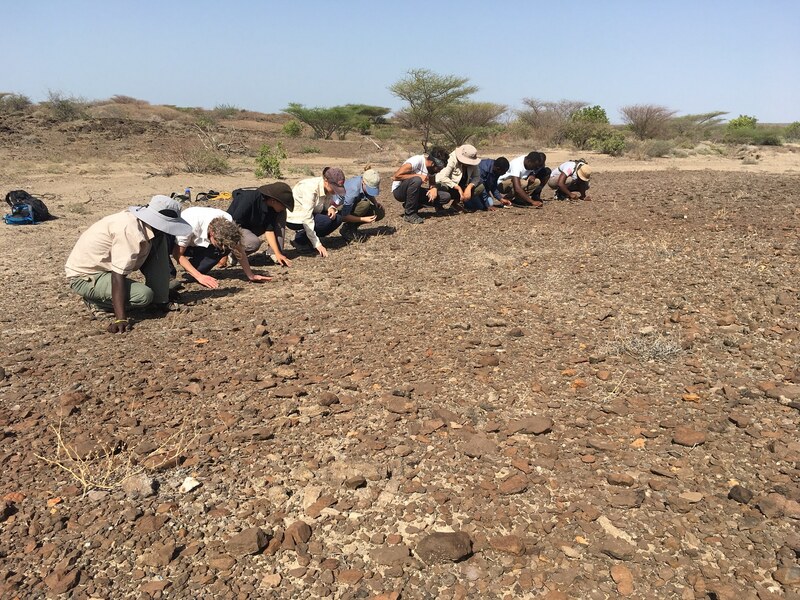 Geologists, working closely with palaeoanthropologists, have also played an enormous role in this research, creating a timeline of changing environments through time. 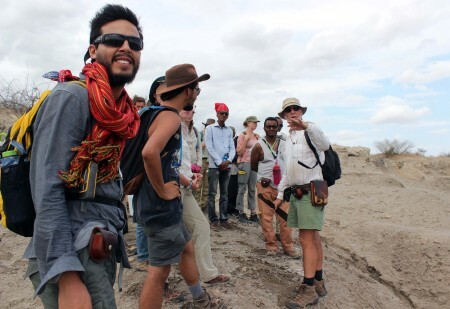 Dr. Feibel has conducted research in this area since graduate school and so gave us an unforgettable tour of the geology in the region. 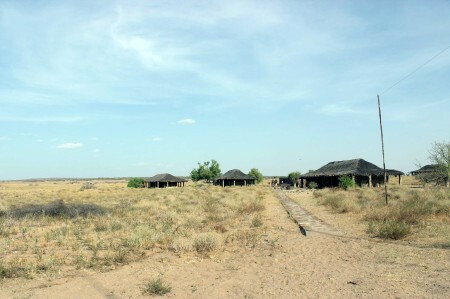 Buildings at Koobi Fora camp. 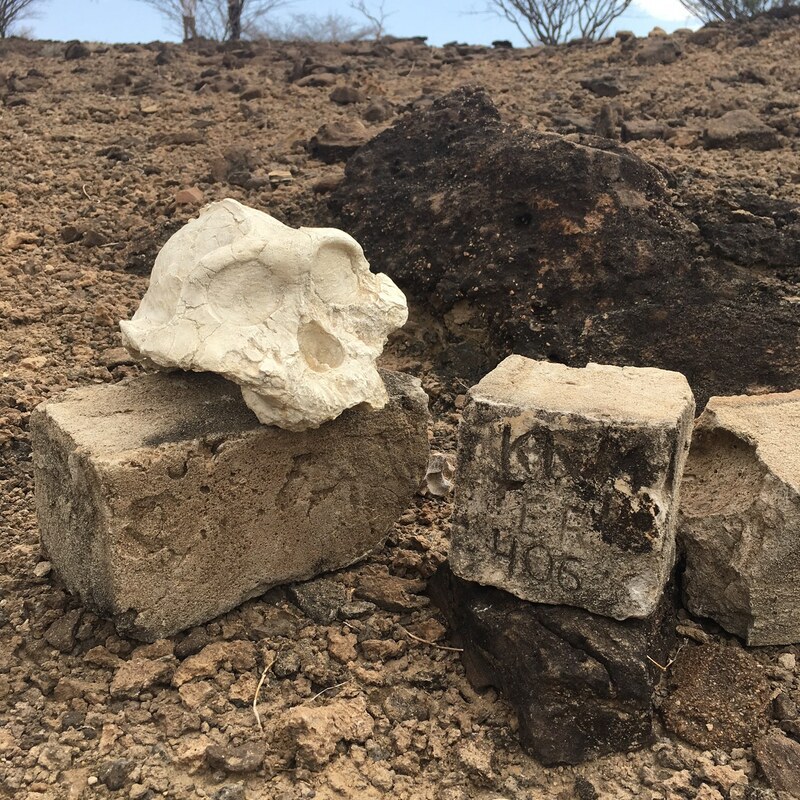 It is a long drive from Ileret to Koobi Fora with few roads – so we took a few stops along the way. 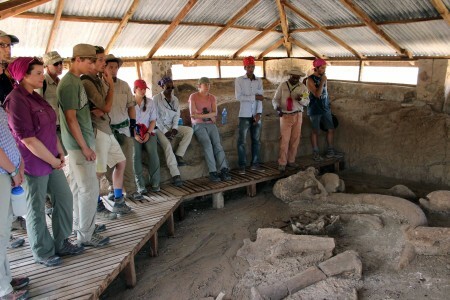 The mostly complete remains of a giant ancient elephant are protected by a structure constructed overtop of them. How did it die? Why here? Why is it such a complete specimen? 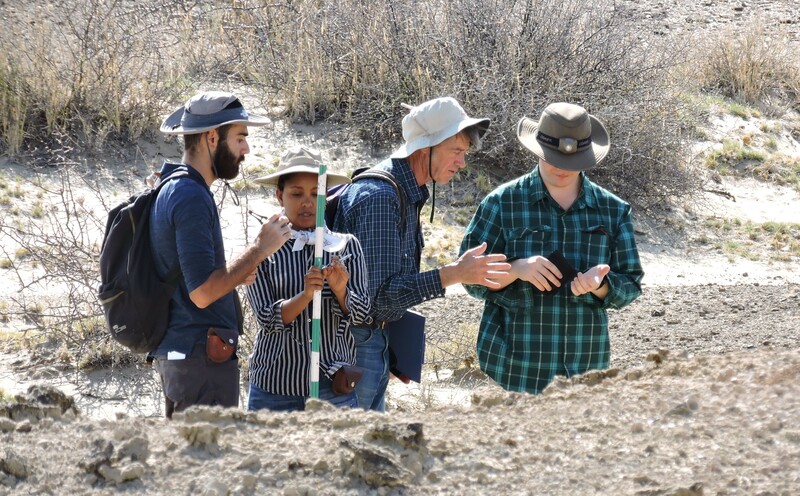 Ryan, Evan and Yemane out the deposits underlying a sandstone cap. 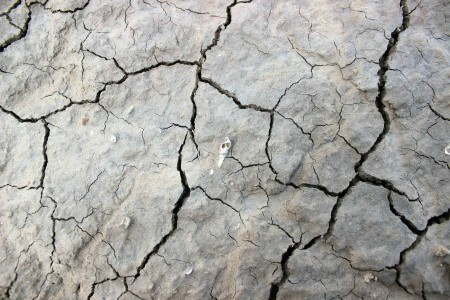 Biological traces of clams burrowing in the mud. 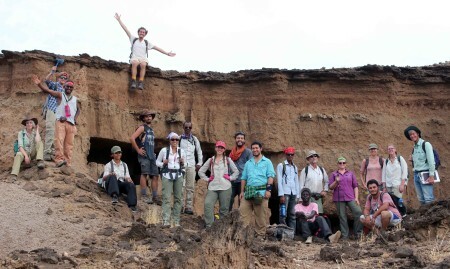 A big hike to tour the geology in the Koobi Fora region. 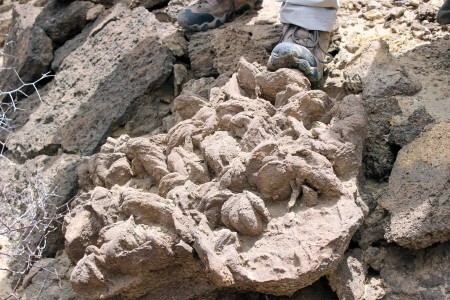 A sandstone deposit full of ancient shells. 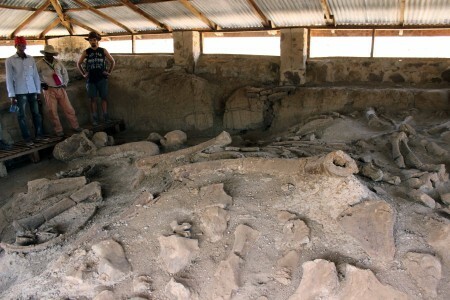 These organisms lived in the lake a long time ago when the lake levels were higher. 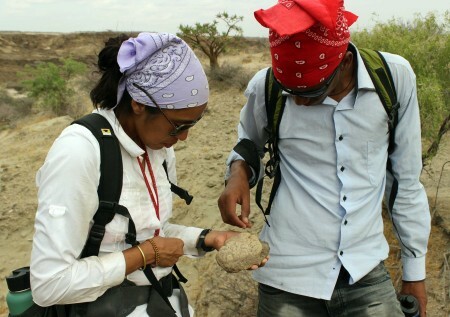 Visiting geologist, William E. Holt, assists Milena as she records the strike and dip of the shelly sandstone deposit. Kait practices her brunton compass skills. 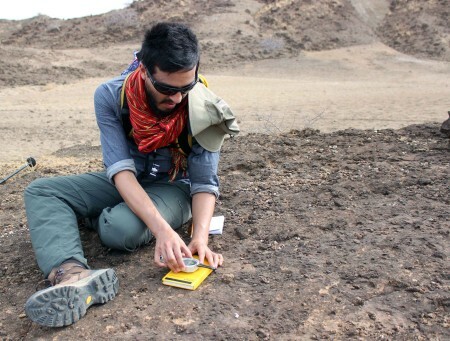 Ryan places the brunton compass on a flat surface to get stable measurements of strike and dip of the sandstone. 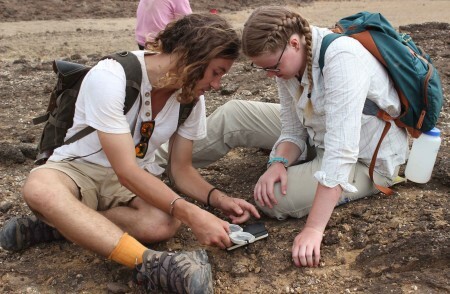 Maddie and Jamie work together to measure the strike and dip. 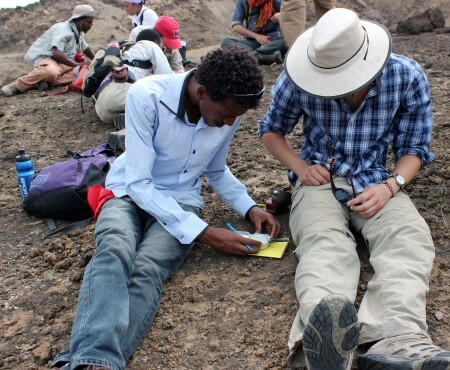 Rob and Niguss use the brunton compass to measure strike and dip. 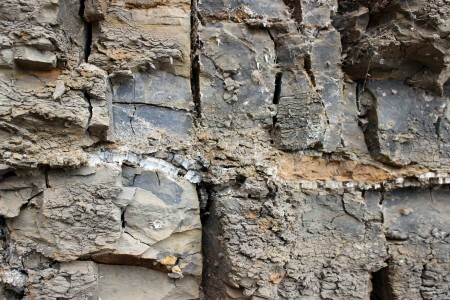 A beautiful stratigraphic section of lake deposits showing evidence of changing environments through time. 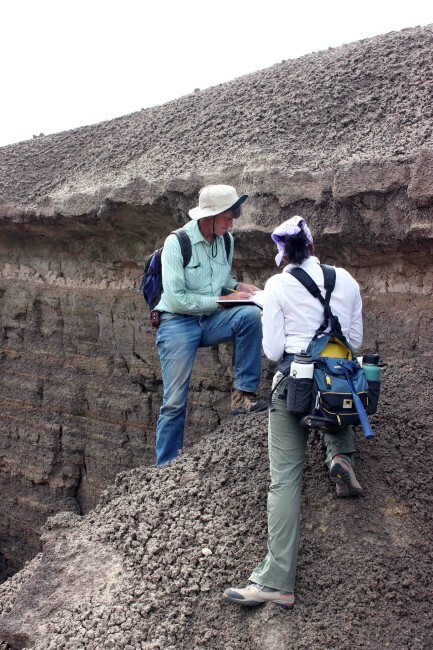 Dr. Bob Raynolds and TBI field school director Linda Martin record their observations of a tuff within the lake deposits. 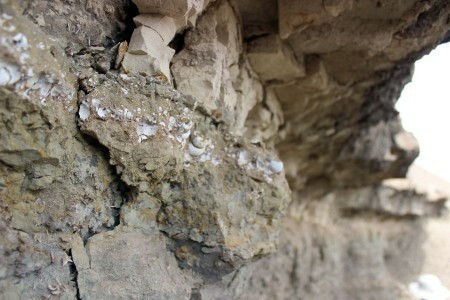 A stripe of white gypsum within the mudstones. 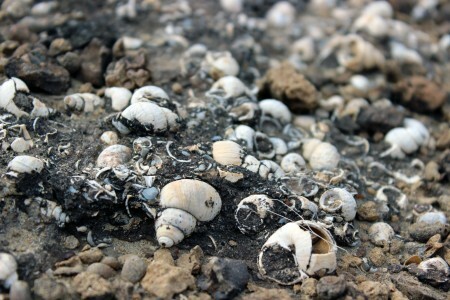 A layer of shells indicating a happy lake environment, capped by a bentonite (formed from volcanic ash) layer, indicated widespread death of these organisms. 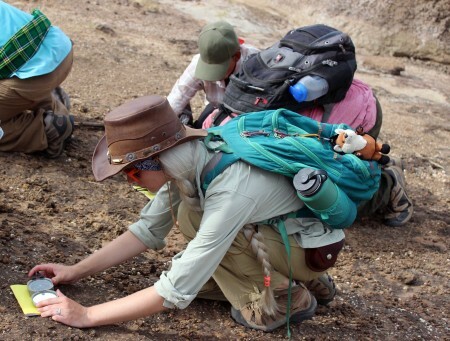 Checking out a deposit full of ostracods. 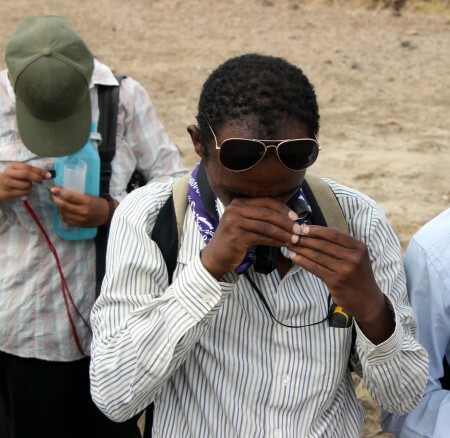 Yemane and Adriadne use hand lenses to get a better look at the tiny ostracods. 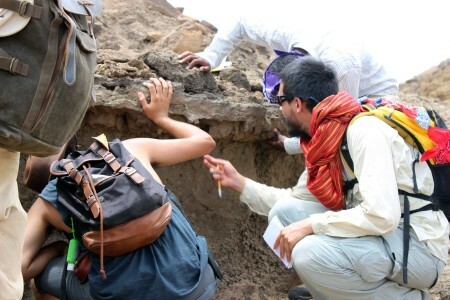 Dr. Feibel points out the extend of the Holocene Galana Boi deposits. 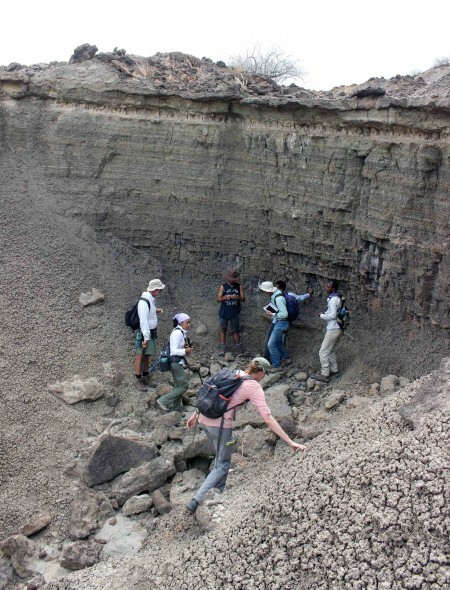 Galana Boi deposits are typically lighter in color and soft. They always contain many shells. 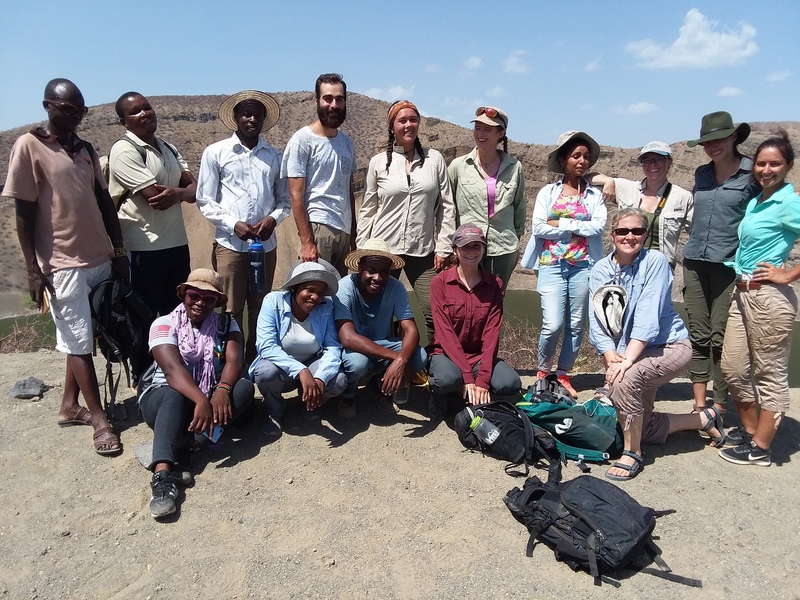 Up next is the Human Evolution module at TBI- Turkwel.